Planning your wedding is about building a personalized day that celebrates your love and commitment to each other. You can incorporate your unique identity as a couple into nearly every detail of your nuptials—and the possibilities are truly endless. But if you search “wedding inspiration” on Google, you get an overwhelming 67 million results. That’s why we’ve compiled a list of our 50 favorite wedding blogs the internet has to offer. Whether your wedding is big or small, modern or traditional, casual or black-tie, destination or church (like we said, endless possibilities! ), you’re sure to find something that inspires you on this list. P.S. Don’t miss our round-up of Top Pregnancy & Parenting Blogs to Follow in 2018, too! Inspired by This covers it all: beautiful weddings, aspiring entrepreneurs, exquisite homes, working moms, and more. One Fab Day: Looking for inspiration that’s equal parts killer style + heartwarming love stories? Then Ireland-based One Fab Day is the blog for you. They offer awesome planning guides, party resources, and printables, too. 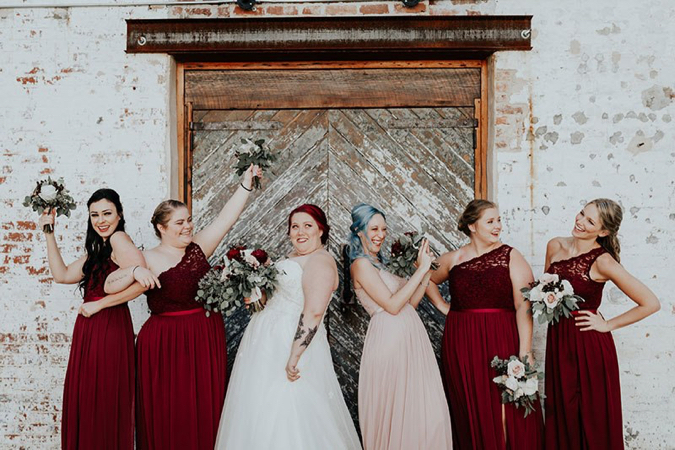 Love & Lavender: Love & Lavender, operated by a husband/wife team, strives to showcase epic bridal experiences from around the world to help brides, grooms and vendors alike. 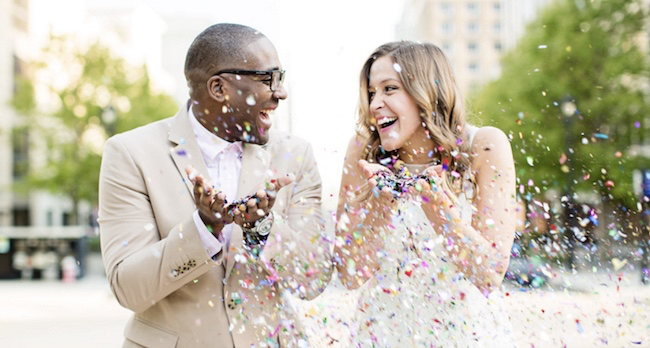 Confetti Daydreams: Going for a flirty & playful feel for your wedding day? Confetti Daydreams is the blog you’ve been looking for. Praise Wedding is on top of today’s wedding trends and they cover all of them on their blog. See something you like? Their vendor guide will help you find someone who can make it happen for your own wedding day. Chic & Stylish Weddings: Headed to the Mediterranean for your nuptials? Then this is the internet destination for you. Featuring weddings that take place against the gorgeous backdrops of Greece + Cyprus, the eye candy abounds. Hey Wedding Lady: Born out of a love for both wedding design and the logistics behind it, Hey Wedding Lady features colorful + stylish nuptials that are always memorable. 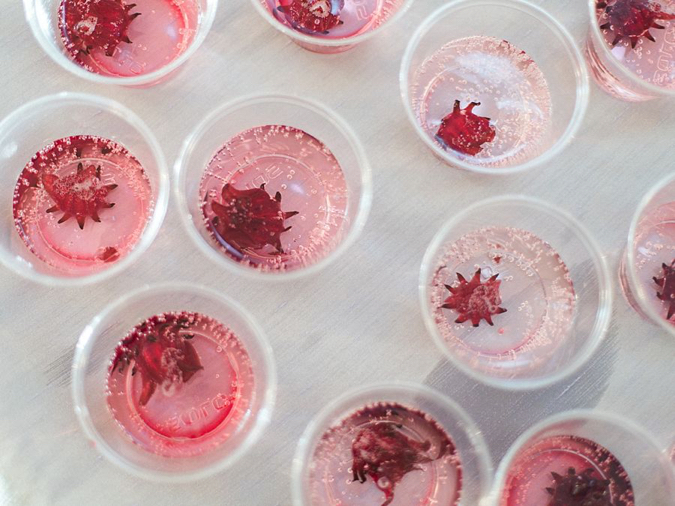 Jet Fete by Bridal Bar: Jet Fete was designed with the globetrotting bride-to-be in mind. From far off adventures for two to grand celebrations on location – Jet Fete is the engaged couple’s go-to guide for saying “I do” away from home. Rustic Wedding Chic: Rustic weddings are here to stay. Is that the vibe you’re going for? RWC will help you nail it. We particularly love their popular Ask Maggie feature. Wilkie: Wilkie is home for the shopaholic, the wedding obsessed, and the trend spotters with a passion for all things pretty. Visit Wilkie for inspiration and entertainment in the world of weddings, fashion, celebs, and beyond. The Wedding Playbook: The Wedding Playbook is an Australian blog and online magazine helping couples throw a great party in the name of love. They share candid wedding stories, sanity-saving planning tips and steal-worthy ideas, with a guide on the best in the business to match! Destination Wedding Details: Planning a destination wedding and hoping to do it stress-free? Destination Wedding Details is your one-stop shop for inspiration, advice, and out-of-the-box ideas for your wedding away from home. Lucy Dylan Weddings: Equal parts advice + inspo, LDW has an answer to every wedding planning question you might throw at them. They also have a list of endorsed vendors for your perusal, so you know you’re finding real professionals. Offbeat Bride is for couples looking to do things their way, or ‘off the beaten aisle,’ as they cleverly put it. 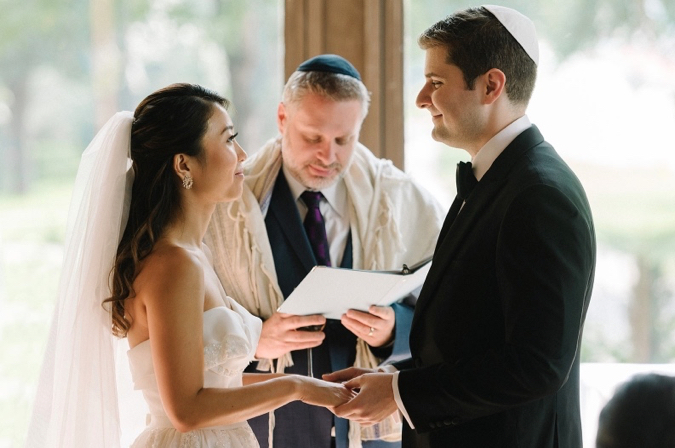 They’ll inspire you to create an authentic wedding full of personality and intention. Weddingbee: Whether you’re in a wedding, going to one, or just reminiscing about life and love, there’s something at Weddingbee for everyone! Find support, ask questions, swap stories, and follow brides and their real weddings on Weddingbee. Green Wedding Shoes: Green Wedding Shoes was borne out of the real life planning of Jen + Jason’s wedding and has grown into a go-to destination for fashion forward brides everywhere. Whether your nuptials are being exchanged in a rustic barn, on a bohemian beach or in a modern hot, GWS is sure to inspire. A Practical Wedding: APW is focused on creating a culture that supports laidback, feminist weddings. Their modern wedding content is a mix of wedding stories sharing what real couples learned, how-to’s, and personal essays normalizing the messy reality of wedding planning. Junebug Weddings: Junebug Weddings is bursting with useful and inspirational content, but our favorite feature? Their Wedding Inspiration Board, where you can filter thousands of wedding images by color, category, and more. Style Me Pretty: Check Style Me Pretty daily for real weddings, trustworthy vendor features, planning tips + tricks, and the latest trends fresh from the runway. SMP is here to be every bride’s virtual maid of honor and wedding planning BFF. Wedding Chicks: Visit Wedding Chicks for the wedding inspo, stay for the practical advice + gorgeous free printables. 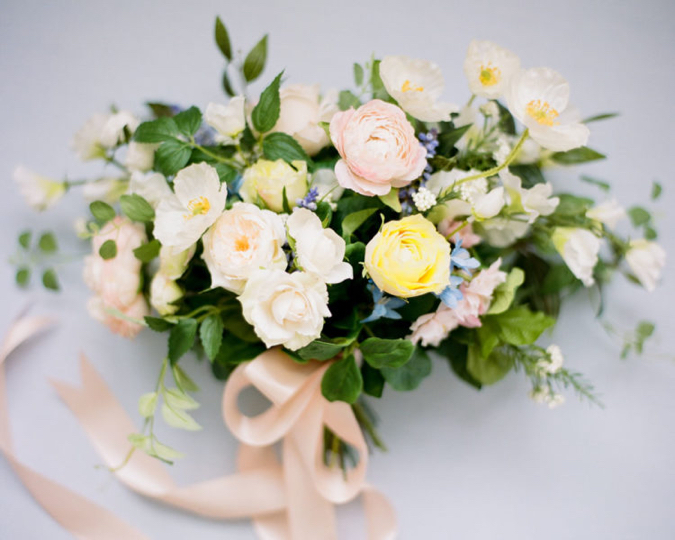 FiftyFlowers: FiftyFlowers offers floral inspiration for every style of wedding, from beach to boho, classic to contemporary, including a tool for identifying blooms that match your color scheme. Not only does Afloral’s blog cover all things wedding floral design, they offer advice for saving pennies on flowers by using realistic silk and artificial pieces. You can even buy them straight from Afloral. Melissa Jill Photography: Melissa Jill is an internationally recognized Phoenix-based wedding photographer who has been shooting weddings since 2001. She has made her blog into an extensive resource for engaged couples, full of helpful tips and beautiful inspiration. SnapKnot: Built as a way to help you find the right photographer for your day (based on location, time of year, style, the works! ), SnapKnot’s blog offers galleries of real weddings alongside advice and DIYs you can totally tackle. Ryan Ray Photo: Using film as his primary medium, Ryan Ray creates timeless photographs that reflect the love and joy his couples share. Carlie Statsky: Carlie’s photography is a blend of fine art and photojournalism, meaning every frame feels both natural and editorial. She regularly shares her beautiful work on her blog, which are sure to inspire you as you plan your own nuptials. Brent Deitrich, the photographer behind Live View Studios, has a passion for both storytelling and adventuring, and that passion is evident in every photograph he shares. In addition to sharing the weddings he shoots, his blog features joyful maternity, family, and engagement sessions that are sure to delight your eyes. Krista Mason Photography: Krista’s specialty? Making sure she not only captures each moment of your wedding day, but that she makes you feel beautiful and at ease the whole way through. Talk about inspiring. Corner House Photography: Corner House Photography owner Samantha Eckhaus was named one of the top three Central Florida wedding photographers, and it isn’t hard to see why. 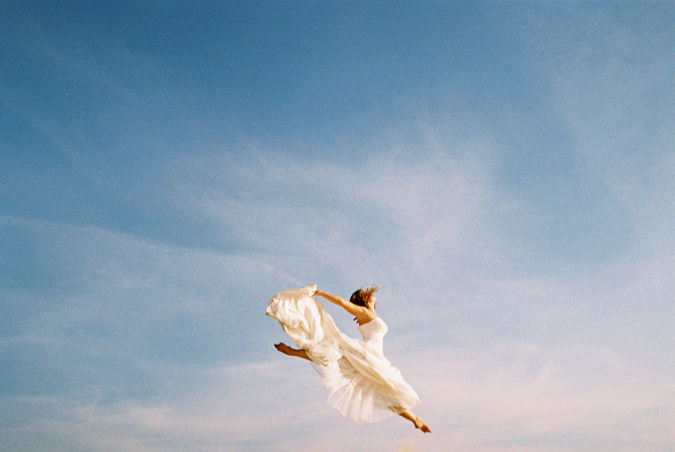 She posts wedding planning advice alongside her light and airy images, making her blog an excellent source of inspiration for any bride or groom-to-be. Jeff & Jessica are two high school sweethearts who got married, started a family, and started a photography business–in that order. Their love for their jobs and their family shines through in every soulful + timeless image they share. Love Stories TV: Ever get sucked into a wedding video rabbit hole? Us, too. That’s the idea behind Love Stories TV — a place for sharing and watching beautiful highlight reels of happy couples from all over the world. They’ll help you find your own videographer, too. Kate’s Captures: Beyond her obvious talent, Kate offers the sweetest stories and anecdotes with each shoot she shares on her blog. That personal touch adds a depth to her already gorgeous photos that will make you fall in love with her work (and her!). My Bridal Pix: You’re home from the honeymoon and your photographer sends over a stunning gallery of photos, filled with emotion and memories. You’ve clicked through each and every one (several times! ), but now what? Enter My Bridal Pix. They’ll help you create a timeless album that you’ll cherish forever, and their blog will help you each step along the way. Meredith Ryncarz Photography: Hailing from Birmingham, Alabama, Meredith Ryncarz places a high value on the power of generations and leaving a legacy. Specializing in engagements, weddings, and anniversary sessions, she uses her photography to preserve epic love stories and provide her clients’ with tangible reminders of their beautiful day. Pink Spruce Photography: Jen Cassellius, owner of Pink Spruce Photography, brings a decade of wedding industry experience to her beautiful photography. In addition to the weddings she shoots, her blog features wedding planning guidance, free DIY printables, and wedding photography resources. Starling & Sage: This husband-wife photography team blogs their light, airy, romantic work on the regular, and their passion for their work and each other is evident in every post. LVL Weddings & Events: Lindsay Val Longacre finds great satisfaction in making her clients’ wedding dreams come alive by combining the perfect vendor team to create the stylish design and identifying the distinctive look that expresses her couples’ personalities to perfection. 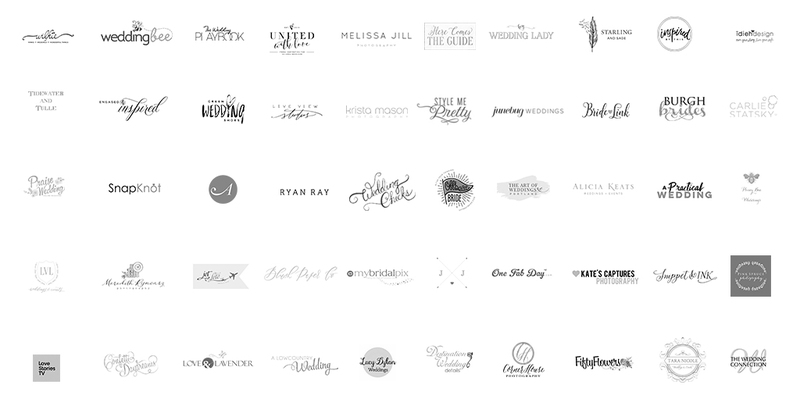 Her blog showcases LVL’s incredible work, as well as ideas for personalizing every detail of your wedding. Tara Nicole Weddings & Events: TNW has planned every type of wedding you can imagine: estate, beach, city, woodsy, the list goes on! Visit her blog to see her recent work, tips for the bride, resources for entrepreneurs and new moms, and a peek into her world. There are so many options in California that wedding planning can be overwhelming. Let Here Comes the Guide help you narrow your choices, inspire your heart, and build your beautiful day. United With Love |DC: With so many iconic and versatile event spaces in the DMV (DC-Maryland-Virginia), it can be hard to choose. United With Love is part vendor guide, part inspiration blog, part advice wedding advice column, and celebrates our nation’s capital all along the way. Bride Link | Tennessee: Calling all Tennessee brides and grooms-to-be! Bride Link’s vendor guide, combined with their helpful and super fun blog, will make planning your Volunteer State nuptials a breeze. Engaged & Inspired has designed some of the most gorgeous weddings we’ve ever seen — their style is timeless and personal, without a single detail overlooked. This makes their blog an incredible place to go for inspiration, whether you’re getting married in Carmel Valley or elsewhere. Tidewater & Tulle | SE Virginia: They say Virginia is for lovers, and Tidewater & Tulle is out to prove it’s true. If you’re getting hitched in the Old Dominion, or simply looking for some coastal-inspired wedding ideas, T&T is for you. A Lowcountry Wedding | Georgia + South Carolina: Creating a wedding that’s both modern + classic all while sticking to the traditions can be tough, but A Lowcountry Wedding’s lovely blog can help you achieve it. The Art of Weddings | Portland: The Art of Weddings is a one-stop-shop for Portland brides and grooms looking to hire the best of the best when it comes to vendors. Honey Bee Weddings | Chicago: Tying the knot in Chicago? Honey Bee’s blog features not only their recent work and gorgeous photography, but announcements about local wedding shows and events that’ll make planning your Windy City wedding easy as pie. Burgh Brides | Pittsburgh: We love Burgh Brides’ Victoria’s fresh and modern take on weddings, as well as her flawless taste in the real weddings she features on her Pittsburgh-based blog. What more could a Steel City bride need? 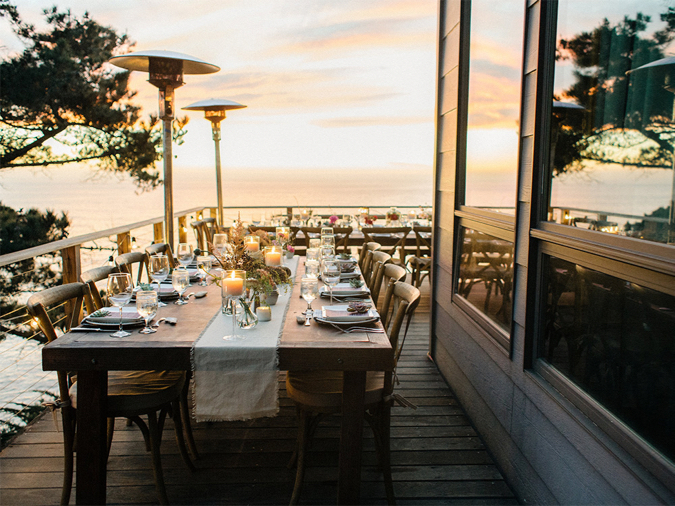 The Wedding Connection | Monterey Bay/Santa Cruz: The Wedding Connection’s blog is an excellent resource for anyone planning a NorCal wedding. We especially love their subcategory devoted to creative ideas for your food, dessert, and music (a.k.a. the really fun stuff!). Modern and colorful, idieh design paper products are serious statement-makers. 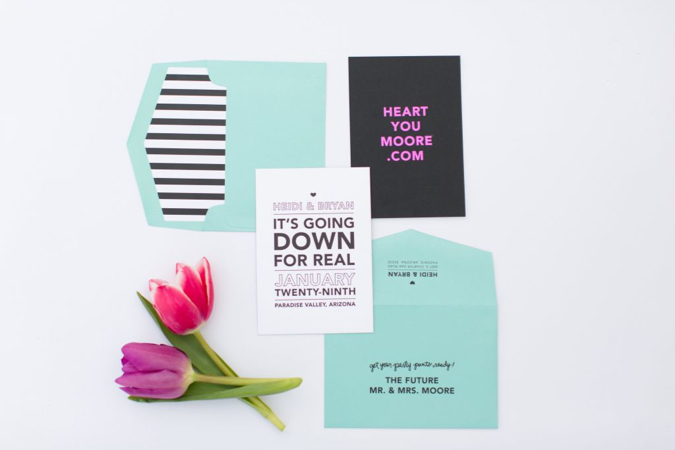 Thinking of going bold and bright for your invitations? Their blog will show you how to do it right. 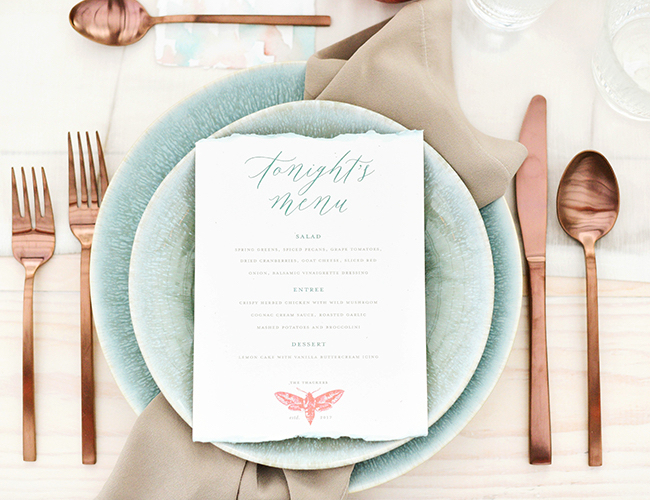 Blush Paper Co.: Blush Paper Co’s custom wedding invitation suites are insanely beautiful and one-of-a-kind. Check out their blog for ways to ensure your wedding makes a killer first impression when those envelopes land in mailboxes. At Blueprint Registry, we’re all about marrying efficiency with a beautiful aesthetic, which means our eye for quality, helpful wedding content is sharp. Wading through all the inspiration the internet has to offer would take you a lifetime, so we’ve done the hard part for you here and selected the best of the best. Happy planning, lovebirds!